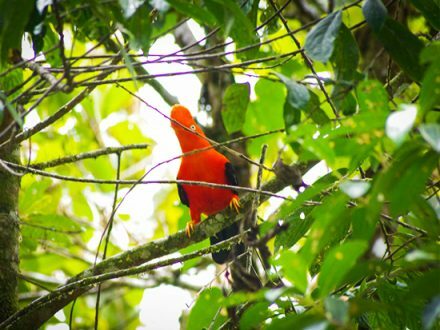 This tour takes you to the cloud forest, the foothills of the Andes and the beginning of the Manu lowland. Enjoy the breathtaking scenery and lots of wildlife, as Manu is a great area for birdwatching! After an early breakfast we continue our adventure with our minibus: we will pass the village of Pilcopata and cross the river of the same name to get to the small port of Atalaya (600 m.). On the way, we will stop for some short walks to observe birds and to visit a local orchid garden. 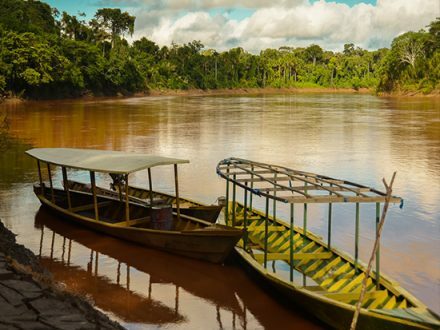 In Atalaya, we embark and start our half hour journey in a 15-meter motorized canoe down the Alto Madre de Dios River. 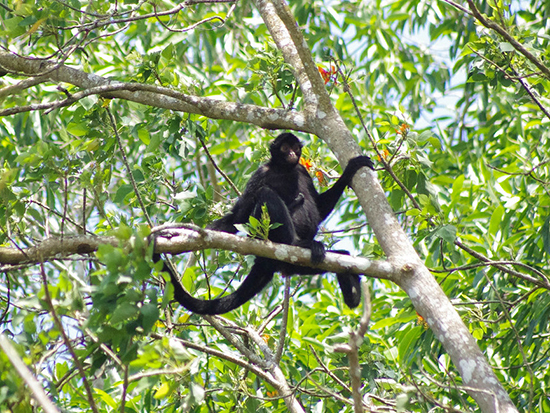 We have the opportunity to see wildlife along the rocky river banks, such as Fasciated Tiger Herons, Purplish Jays, Skimmers and some of the monkey species that live in Manu. 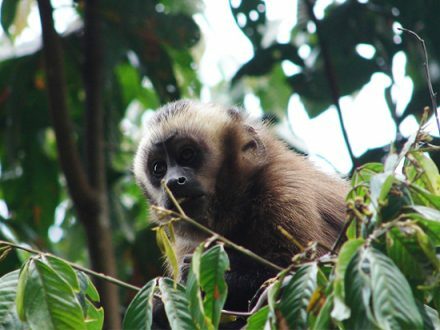 From the Rio de Oro Lodge we explore some of the trails to observe birds, insects and monkeys. In the afternoon we cross to the other side of the river to discover some monkeys and to visit the Machuwasi Lake. 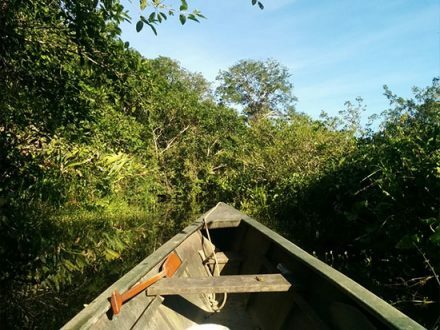 We use a wooden raft to explore the lake and observe the birdlife. In the evening, we will do caiman spotting on the river or go on a night walk. We spend the night at Rio de Oro Lodge. At dawn, we travel downriver to the parrot clay lick by boat. This is a special place where parrots, parakeets and small macaws, including the Chestnut fronted Macaw and the rare Blue headed Macaw, come to eat minerals which help them with their digestion. After the natural show we walk on the trails to see more animals and you have the opportunity to climb up to a lookout point for a spectacular view over the Alto Madre de Dios River. 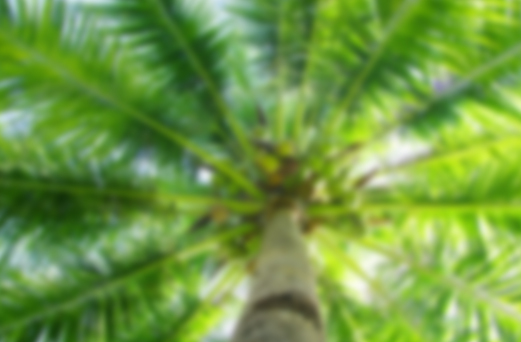 Another trail then takes us to a huge Ceiba Tree. Later, we can go fishing or have a bath in the river. We spend the night at the lodge and have an optional night walk to see insects, frogs, snakes etc. After breakfast we take the boat back to Atalaya. Here, our bus is waiting for us and we begin our return trip through the cloud forest and over the Andes back to Cusco. We can stop whenever we spot animals. We arrive around 06:00 pm and then transfer you to your hotel.